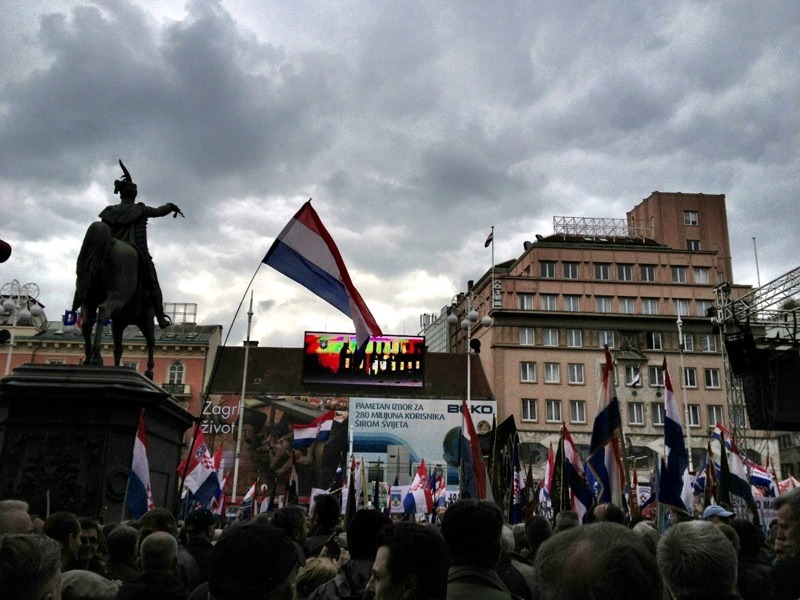 According to Vecernji List, the peaceful rally against the introduction of Cyrillic script on official signs in Vukovar organized by Headquarters for the Defence of Vukovar association has attracted some 60,000 people. Messages were strong and determined: “We do not hate anyone, but Cyrillic is continuance of aggression”; “the fight for Vukovar still continues today”. The Headquarters for the Defence of Vukovar sought at the rally that the authorized institutions of the government declare the city of Vukovar an area of special piety for all citizens in the country and the world. “If, within three months, you do not commence upon this request, you will, in that way, let us know that you do not respect our sacrifice…if, then, you come to Vukovar on the 18th of November, we will show you that you are not welcome there…” said Tomislav Josic, president of the Headquarters of the Defence of Vukovar association. He further stated how the lack of piety towards the victims, their families and the survivors is especially frustrating. Although (introduction of Cyrillic script) based on law, it’s not enough because there is no street in Vukovar where no Croatian was killed. “That’s why we the victims, the defenders and citizens consider our demand that Vukovar area be seen as the place of most brutal suffering and piety legitimate, and that, as such, be excluded from bilingualism on official signage. If you come to Vukovar to erect the signs, we’ll call upon all our friends to come and we will not permit that to happen”. 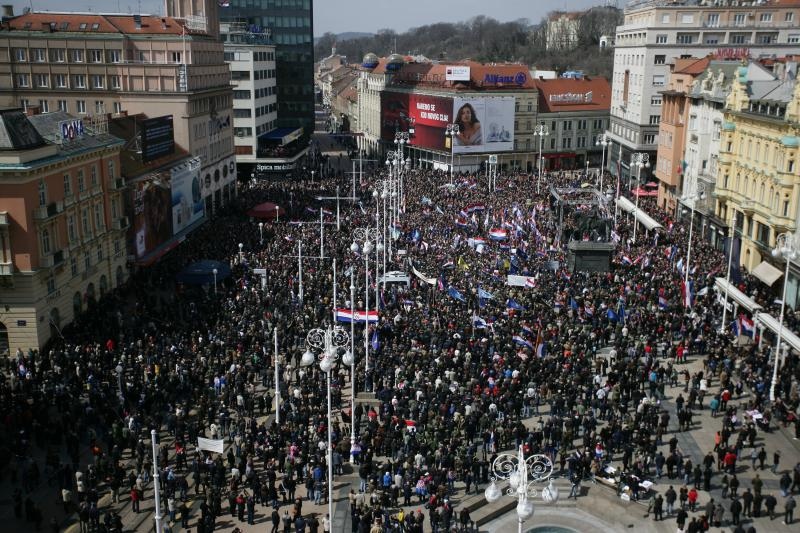 Jutarnji List reports that there were some 15,ooo people at the same rally. Slobodna Dalmacija, likewise. Downplaying the numbers would be something that keeps with the pro-government flow, so I do not place too much trust upon their reports. Looking at the aerial view of Ban Jelacic Square at the time of the rally it’s difficult to believe this number; the Square was packed with people and it fits a great deal more than 15,000. Novi List says there were 20,000 to 40,000. 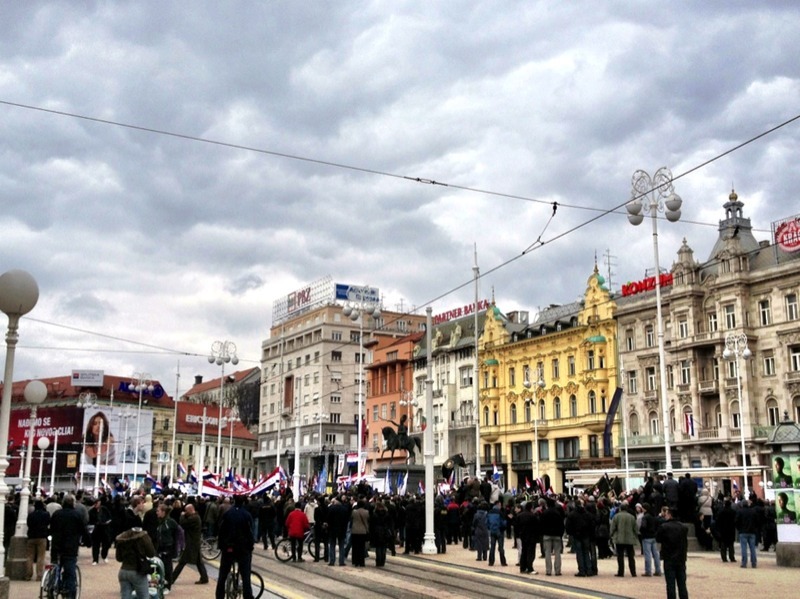 Certainly, there were rivers of people converging upon Ban Jelacic Square in Zagreb today, 7 April 2013 – all asking for one and the same thing: No Cyrillic script on official signage in Vukovar. A decent human being would consider this a decent thing to ask. No doubt about that. Vukovar is like a memorial place for all the victims who had brutally fallen at the hands of Serb aggression in 1991. Vukovar is an area of terrible suffering; suffering that still continues because there are still many perpetrators of those crimes freely walking the streets. European Union is reportedly “insisting” that law be applied and Cyrillic introduced in Vukovar! This is the same European Union, which consists of countries where memorial places similar to the national meaning of Vukovar are held as sanctity, often having special provisions under the law to protect them as such. Why then does the EU ask of Croatia what it does not ask of other countries!? So why does the government of Croatia act so cruelly towards its own citizens!? How hard can it be to pass special provisions under the appropriate law to protect Vukovar for what it truly stands for: a city of victims who must be remembered for their suffering. It’s not hard, I’m sure. Ina, I was at the rally and a colleague of mine estimated that there were actually about 80-90,000 people at the rally which was very peaceful and professional! I send a huge congratulations to the organizers and all participants. It makes me proud to be Croatian and it renews my hope for the future of the Croatian Homeland. Here is a video of the rally. We need to correct and defend against this type of garbage. Ina, we know the lies, is there a reference or standard reply that we can use when we come across these type of articles? The lies are standard 1) Croatia is a fascist and racist country that openly collaborated with Nazis and willingly participated in the Holocaust 2) Serbia was a defender of freedom and stood by the side of the Allies in WWII 3) Serbs are victim of the nasty Croatians barbarians whose bllod lust for Serbs is genetic 4) Serbia actually comprises much of Croatian lands that naturally must be reunited 5) Croatians are actually Serbs of Catholic faith that necessitate rehabilitation in the most profound way 6) Croatia started the War in the 90s and Serbia was merely protecting it’s people from the blood lust of Croatians. These are standard lies and propaganda that require robust, convincing and conclusive responses with all the accompanying references to academic and historical records. According to my knowledge, European Union asks to every single country respect for their minorities. I guess, European Commision thinks that set cyrilic in those parts of Croatia where serbs are an importan minority a sing of respect for that minority. I do not see the reason of your statement. Bilinguism, actually, where are speaking about alphabets more than bilinguism, is quiet normal in some countries of European Union. I would say your complaining is just another sing of the victimism that forms part of croatian nationalism. “suffering that still continues because there are still many perpetrators of those crimes freely walking the streets”. This is just a random accusation or there is/are some evidence which let prove your statement? This is important to keep your statement or not. If I am not wrong, the law of Croatia says that in thoses parts where serbs are 30% or more of the total population, cyrilic has to be compulsory in any public affair. I would say that according to the last census of Vukovar, serbs are more than 30%. I already know that you say that teh census is wrong and the percentage of serbs are less. Whereupon, the solution is easy, Make a new census to see the percentage of serb people and after that, see if there are or not enough serbs to set the cyrilic and the serb language. That is the law and one of the most important affairs in Democracy is respect the law. Am I wrong? Saying that, I realise that the situation in Vukovar is quite complicated and I can understand perfectlly the feelings of the people. Vukovar was destroyed by serbs para-militaries with the help of JNA/JLA. Nevertheless, going against the cyrilic is not going to help the coexistane between croat majority and serb minority and going against cyrilic is like make a official trial where the demonstrators blame every single serb in Croatia for what happened in Vukovar and the rest of Croatia 20 years ago (I don’t think every single serb in Croatia took part in the war 20 years ago). In addition, accepting cyrilic would be a perfect chance to learn from the past, start a good coexistance with the serb part and left behind the past which that not mean make an oblivion of it. But, I know that depends also of the serb part and the same time, is not easy to deal for croatians to deal with a past so traumatic. No random accusations here Speaker- if you search for instance regarding war crime of rapes in Vukovar you will discover not only are many perpetrators still unprocessed by courts but some who have only few months ago been convicted by courts in Vukovar had fled to Serbia – in mysterious routes. Also Yugoslav Army personnel who actively participated in Vukovar war crimes are still not processed in Serbia. Sorry, but the truth is that many countries have special laws regarding war memorials and I happen to be convinced Vukovar should be under the same protection. There are some places in Croatia that already have bilingual signage (including Cyrillic) so Cyrillic IS NOT a problem, it’s what it represents for Vukovar at this time in history and the aggressive way the government and Serb minority are trying to install it. 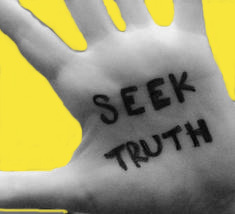 Yes the latest census would lead us to believe that the “legal”percentage of Serbs for introduction of Cyrillic live in Vukovar, however, that census is widely considered as not reflecting the true state of affairs and there are moves to get the government to do a new census. There are lots of people registered as living there who are said to not be living there, some still living say in Serbia etc. Last week the government complete the exercise of reviewing the electoral roll and, low and behold, it came up with more than 700,000 less voters than on 2012 electoral roll. As to your last paragraph there is no doubt in my mind that it’s the victims who guide us as to readiness and not the aggressor. And yest, not all Serbs are guilty. Just because on paper it looks nice doesn’t mean that’s the reality on the ground. Take for example the status of minority languages in France. (please pay special attention to the part about NONE of them being recognized by the French government). The reds never wanted Croatia independent in the first place. I wonder will our esteemed PM will make a pilgrimage to Belgrade again asking for forgiveness and to allow an exception. Please forgive my rudeness but our PM and his government as a bunch of ignorant a-holes who are traitors to Croatia. They are still wrapped up in some illusion of an international communist man devote of any nationality or religion. It is rather a shame that a former communists are pursuing their sick agenda. Franjo forgot to abolish Yugoslav lav in 1991 about citizenship and his successors continue with the same agenda. 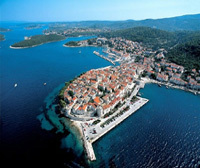 The EU could not enforce on Croatia what is not accepted in the Western world. 200,000 Croatians in Australia accepted rule of majority so that people who promote the introduction of a cirilica should do the same. One has to remember that we were sold in 1102, 1527, 1918 and 1945. So our traitors have a history. Cool! You haven’t even joined yet and you’ve already started blaming Brussels for everything. Welcome to the club! Ag martinned, don’t blame the EU so much as the Croatian government for not being assertive more especially when it comes to special war “memorials” and associated possibilities to legislate. As to the phrase regarding Cyrillic being “continuance of aggression” that was a quote from a speech during the rally and, hence, signifies the way victims of Vukovar feel about it – and who are we to belittle such feelings. Cyrillic is not a problem as such in Croatia, it has existed as a language there for many decades, and there are places there where it has been introduced as second script on official signage, no problems there. Vukovar is something entirely different when it comes to its significance or what it signifies vis a vis the war and the suffering, and as such it deserves special consideration. 1. You can’t very well declare an entire town a war memorial. If Serbian-speakers live there in such numbers, the signs should be in cyrillic. 2. I can’t check the street signs from here, but the website of the International Auschwitz Comittee is also in German, as are the websites of many other Holocaust-related organisations. God bless everyone taking up the fight for justice and fairness in Vukovar. To hell with anyone, whether they be from the EU or our own country, trying to taint these efforts as out-of-date “nationalism” or “fascism”. Yes Michael, Vukovar is sacred and must be protected as such. It is shameful that the current government of Croatia has so lttile regard for the majority of its citizens, and especially those who have made the ultimate sacrifice in Vukovar. Protecting minority rights has nothing to do with official signs. Minority rights include legal protection (democratic rights), religious protection, access to government institutions and programs. In other European nations where a large influx Middle-eastern minorities reside, we do not see the emergence of Arabaic on official state signs. In democratic and progressive Canada, one of the most mutli-ethnic nations in the world, street signs are written in the official language of the nation, not in one of the many minority languages that persists. This move by the Croatian government to go against the wishes of the majority, in Croatia, and most importantly in Vukovar, demonstrates the disconnect the government has with its citizens; it simply choses to ignore the pulse of the nation and pander to the European Union. It blantantly choses to ‘water-down’ and disregard the significance of Vukovar, both the immense tragedy and great heroism, to Croatia and its independence. I want to commend the defenders of Vukovar for organizing this most recent rally, and support them to use all democratic means and measures to resist the application of Cyrillic on Croatian soil, especially Vukovar. Live and let live, but lets also remember, honour, and respect what Vukovar means to Croatia’s struggle for liberty nd independance. Zbogom. THe hurdle for bilingualism in most countries is 50% of the population in the area. This USED to be the law until the reds changed ten constitution about ten years ago. Why was the constitution changed to make the threshold for bilingualism 30%. The other issue we need to consider is whether the census data is accurate. From what I understand there are 15 Serbian families registered in one house in Vukovar. These families live in Serbia. Let us verify the census data first. I wonder, do Serbs who have lived their whole life in Croatia, reading Croatian newspapers and doing business using the Croatian language all of a sudden not understand Croatian? What is the point of using the Serbian alphabet in Croatia? The issue is not Cyrillic on the signs in Croatia, the issue is what that Cyrillic alphabet represents. All brutal aggression was done with signs having Cyrillic writting and proclaming the ‘greater Serbia’. Furthermore, if you deport or kill through the war of aggression, the number of Croatian citizens (anyone except serbians) in order to establish the desiered percentage of population, do you have a right as the agresseor, to claim certain minority rights under the law? Perhaps, under the old comunist system. Minority law, as far as the use of language is concerned is 50% or more, in most western democracies, it should be the same in Croatia. Croatians citizens, in the next election, must get rid of all traitors and treat them as such. That is the only way to have free indipendent Croatia, and stop being a hostage to one minority group and treat all its citizens equally (no special privelege for anyone). Also, let’s not forget that decent Croatian citizens of the orthodox religion, do not support this nonesence, because, the number of them fought against the ‘greater Serbia’, and they all want to move forward. In spite of all this, the future looks good. Let’s make sure that we elect political leaders who will represent Croatia and its citizens in EU, and not themselves. This is a legal and constitutional issue, which you have conflated and exploited into an emotional argument to further your prejudices of a legally recognized constituent group, awarded full cultural autonomy within the Constitution of Croatia. I don’t consider for a moment that you have established a sufficient connection between a mere alphabetic script (cyrillic) which has been used and existed for many centuries and it representing some kind of brutality or aggression. In fact, I condemn your assertions for being inflammatory and prejudicial. A generation removed from prior conflict, and you dredge this to instill some kind of pride in your nationality? If anything, it reveals your strong sense of insecurity and perhaps lack of a substantial identity to be so threatened by a multicultural construct. Are you trying to infer that, the Serbian population and culture of Croatia is a threat to you and you refuse to tolerate it? If that is the case, then I suggest your views and actions are invalid in both the spirit and form of the law. People with views like you do nothing to bring Croatia into the 21st century or adopt values acceptable to civilised and progressive world community. Anti-discrimination, I wish you would pay attention to what you read. I dredged nothing out, I only responded to what is occuring in Croatia regarding the matter and give my opinion on it. I happen to believe that Vukovar is special as symbol of victims and the victims needs and plights need to be heard. Cyrillic rxists as a second language in several towns in Croatia, away from Vukovar without issues or problems. But then, the seemingly vivid fact that Serbs there would like for their aggression to be forgotten through means that include desinsitisation via usage of Cyrillic as second language on public signage, pours out of your view too. Being in 21st century also means insisting on consideration for and justice for victims – that defines civilised world and are its values.